You have a business venture idea and everything is finalised. All that is left is an office space! After seeing a couple of options you finally zero in on one. This is where you will be required to crack a lease deal with the owner of that commercial building or particular space. Keep one thing in mind, whenever anyone takes a premise on lease for commercial purposes, it results in a hefty rent to be paid to the owner every month. This is why a lot of research must be done and the contract must be read and understood before being signed. 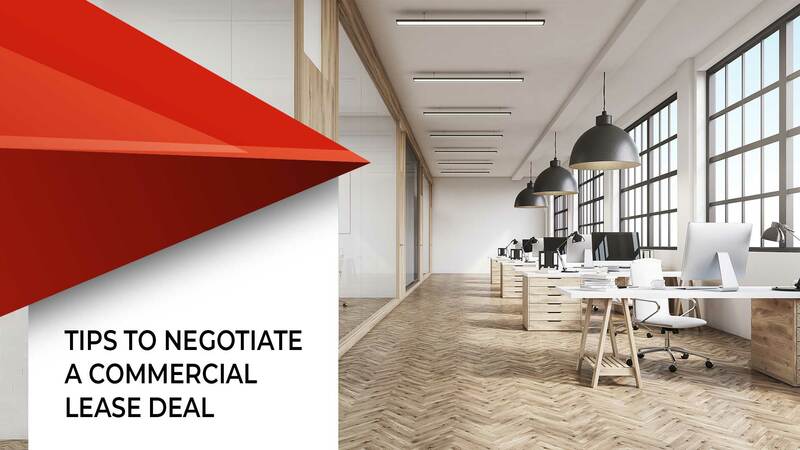 RealtyNXT presents top five ways you will successfully be able to negotiate a commercial lease deal. It has often been noticed by real estate experts in India that normally one can bargain the rent amount with the landlord. Don’t be very aggressive and rude but at the same time try to be as convincing as possible. Chances are you will get an excellent bargain on the sheer fact that you or whoever is acting on your behalf really impressed the owner. Also note that in case your landlord happens to be one person instead of a company, the chances of convincing the sole human for a slight discount are higher. Always remember, in a commercial lease, there are many components of rental charges. These include base rent, cleaning and maintenance charges. Negotiate the base rent first because it is this part which is normally much more heavily priced than maintenance costs. You have to be upfront about who out of the two of you will incur the burden of shelling out money for property tax, water tax, etc. This point has to be included in your agreement. You must reach a decision mutually about the same else it might arise into a problem in the future. Keep in mind that in India there are certain places which either do not require any pay property payment or the amount is really low. You will have to make sure that the premises have a good amount of security personnel for basic protection. Most commercial buildings come with decent security these days, but the final payment for their services might fall in your lap if you don’t include about the same in your agreement.